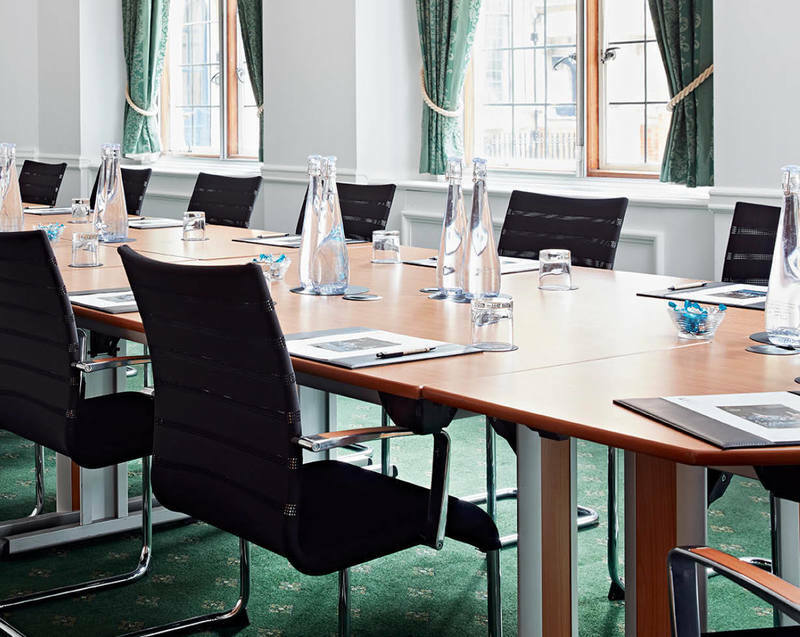 Sir Herbert Baker Room is located on the ground floor and has a beautiful view overlooking Dean`s Yard and Westminster Abbey. 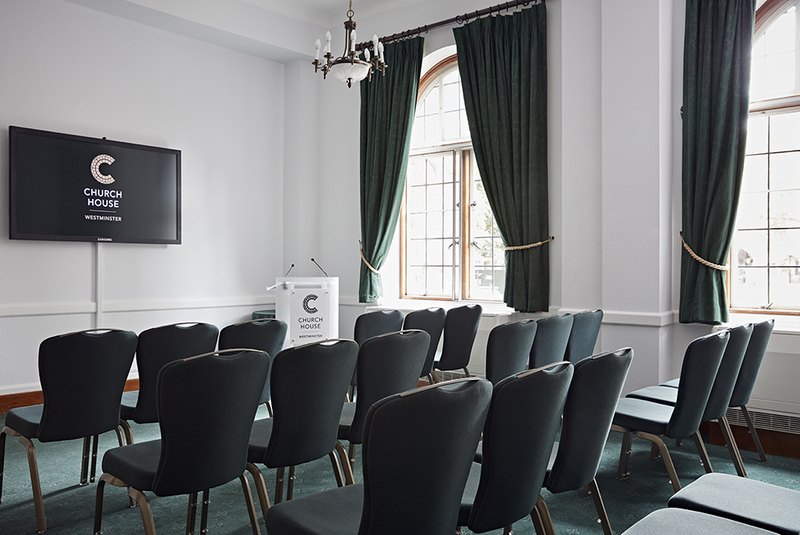 This meeting room has been named after the world-renowned architect of the building. 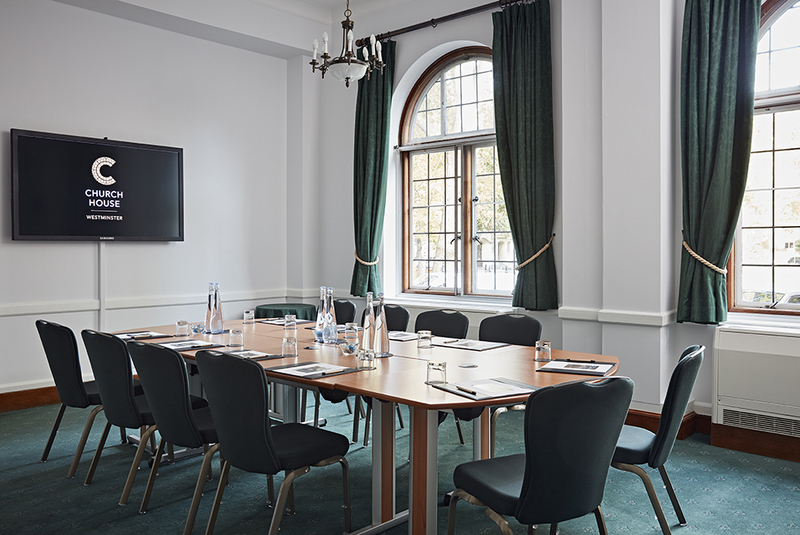 The room has large leaded windows and can fit up to 25 people theatre style and 15 people boardroom style. 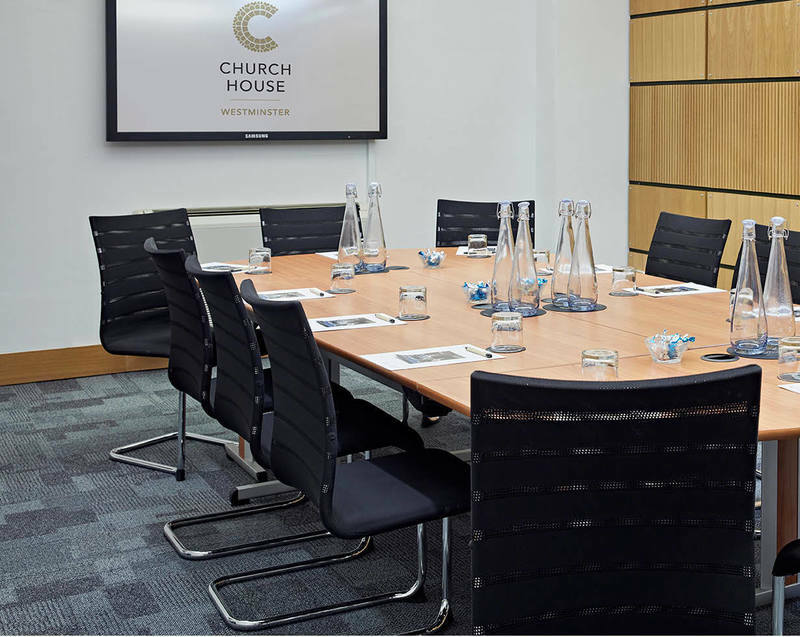 The room hire includes 75” plasma screen, water, mints, pads and pens and wi-fi. All our meeting and conference rooms also have red phones which allow our delegates to contact us for any questions or queries on the day. 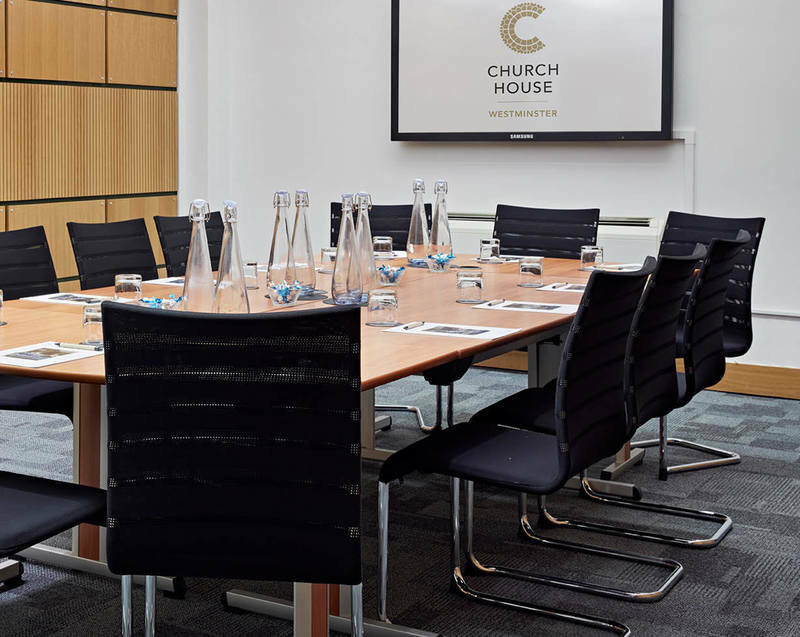 One of the capital`s true hidden gems, we are set within Dean`s Yard and offer a peaceful and green setting along with stunning views of Westminster Abbey whilst only being a few minutes` walk from Big Ben, The Houses of Parliament and St James`s Park. 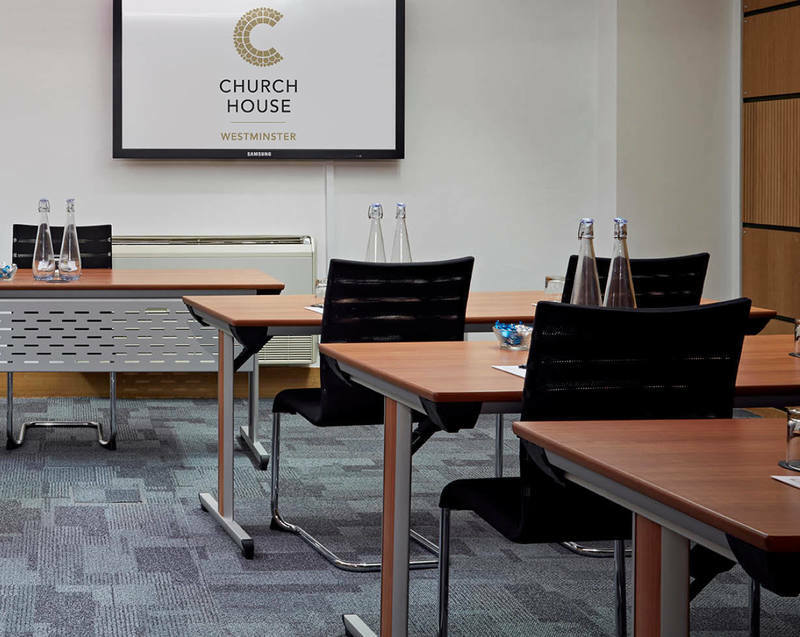 If you have any questions regarding our meeting and training rooms in Westminster, Central London please call us on 020 7390 1590 or fill in our contact form.